There was never any question that Alexandra Kidd would grow up to be an interior designer. Alex used to help her mother rearrange the furniture in her childhood home every weekend, dressing up in her mother’s high heels and pretending to orchestrate the whole thing. Meanwhile, Alex’s father was teaching his daughter an invaluable lesson about how to use power tools . . .
After 10 years working with an iconic Australian interior designer on local and international luxury hotels, Alex started her own design studio focusing on residential design, affording her clients the style and detailing of the luxurious hotels she had become renowned for. Steadily Alex’s portfolio grew to include residential and multi-family projects throughout Australia and was named House & Garden's ‘Top 8 Designers to Watch’. Alex loved the fast-paced and varied projects she was working on, every day on a different building site overseeing urban residential fit-outs, beach houses and donning a hard hat to inspect the construction of multi-family developments. Alex always found that her time on site amongst the builders, joiners, carpenters, tilers and painters was the most invigorating part of her job. When the opportunity arose to relocate her business to the United States in 2006 Alex jumped at the chance, excited to dive into the glossy pages of the glamorous design magazines she had pored over as a child. Alex’s Australian style was embraced in the US, working on many large-scale residential projects including New York lofts, golf course condos and multi-family ‘cities’. The scale and style of the projects were exciting and the opportunity to use products and materials that were native to the US was inspiring. However, after 6 years abroad Alex was yearning the hands-on nature and quality of Australian craftsmanship. The Aussie lifestyle was calling and Alex returned home in 2011 to start a family and fall in love with Australian style all over again. Alex believes in experiential design, placing importance on how someone will feel in the spaces she creates, and how she may be able to enhance their experience and ultimately their lives. ‘I am passionate about design. I truly believe that good design can change lives.’ Alexandra Kidd, interior designer, business owner, mother, lecturer and design addict. Julia is a creative Studio Manager with a diverse range of experience in project and people management, marketing strategy, event planning, operations, accounts and design. A 10-year career in book publishing took Julia from Brisbane to London, and then finally landing in Sydney in 2005 to work at Random House. Julia climbed up the corporate ladder to become the Marketing Project Manager behind some of Australia’s biggest publishing events and award-winning book campaigns. However, Julia never stopped daydreaming of her undeniable love of interiors and design, and could always be found immersed in the latest interiors magazine or devouring design blogs for inspiration. As fate would have it, in early 2014 a new door opened at Alexandra Kidd Design; one that would combine Julia’s love of interiors and her passion for process. Affectionately described as ‘an iron fist in a velvet glove’, Julia effortlessly handles the day-to-day managed chaos at the helm of Alexandra Kidd Design. Stuart is an experienced Interior Architect with a passion for good design. With a knack for drawing from a young age, Stuart knew by the age of 13 that building design was his calling. After studying Architectural Drafting, Stuart's career began with a golden opportunity to work on the design of the Sydney Olympic Village. From there he was snapped up by one of Australia's most renowned interior designers who would become his boss, mentor and friend. Stuart has worked with a number of Australia's leading interior designers and his career has spanned a variety of projects from residential interiors to commercial design to landscape architecture. Stuart joined the Alexandra Kidd Design studio in July 2016, wanting to reconnect his love of detailing to more personal projects. When he's not documenting dream homes for AKD clients, Stuart loves nothing more than spending his weekends with his young family on the beaches of the NSW south coast, or scouring the vast array of eclectic homewares stores for the next perfect piece to add to his ever-growing collection. Jessica is a multi-disciplinary and creative French designer who started her career in Paris, working for a global architecture and design studio specialising in the design of commercial, workplace and healthcare. She has designed and developed various global projects for public and private companies including La Poste, Credit Agricole Bank, Les Galeries Lafayette, Essilor International and many more. Jess moved to Sydney and joined the AKD team in January 2013, and has lit up the office every day since with her funny frenglish expressions. Her super-keen eye for design means she is always looking out for new and inspiring trends. At Alexandra Kidd Design, Jess is involved in all aspects of design from initial concept, sourcing and budgeting to final installation. Her strong 3D modelling and rendering skills, along with her experience working on retail and hospitality projects, round out Jess's exciting and diverse portfolio making her an invaluable member of the AKD team. Demi is a talented young designer who studied Interior Design at the Whitehouse Institute of Design in Sydney. In her graduating year, she won Grand Designs Live, an interior design competition for students. Judged by Peter Maddison (Grand Designs Australia), Shaynna Blaze (The Block) and Jamie Durie, the prize was an all-expenses-paid trip to London. It was on this trip that Demi discovered her love for rich, luxurious interiors in old world England. After graduating from the Whitehouse Institute, Demi started working as an Interior Designer at Benhamou Designs in Sydney, where she was afforded opportunities in a wide range of disciplines and locations, from private jets to luxury villas in Bahrain, a rooftop bar in Moscow and residential projects in the south of France. Demi loves rolling up her sleeves and being a part of the full design, project management and construction process. On weekends you can find her in the NSW Southern Highlands browsing boutique stores looking for delicious cookware. Maddie holds a Bachelor of Interior Spatial Design from the University of Technology, Sydney. Whilst saving her pennies to travel the world, Maddie also completed a leisure course in colour at the International School of Colour and Design. With her studies under her belt, Maddie set off - the world as her oyster - travelling from Europe to America and falling in love with the art and culture of Berlin, the design district of Helsinki, the concrete jungle that is New York City and the steep hilly landscape of San Francisco. Upon returning to Sydney Maddie landed a role with Sarah Davison Interior Design where she relished getting her hands dirty on site and exploring a whole new world. This experience ignited her true passion for residential interiors and led her on a path to the busy AKD studio as an invaluable Interior Designer. Maddie is also a passionate photographer, beach-goer and foodie. She loves exploring coastal walks and is yet met a stripe she doesn't like! From a young age Simona had a passion for design and could be found selecting and collecting paint swatches as a wide-eyed 6-year-old. It wasn’t long before she started drawing her future dream home, sketching floor plans, and later recreating complex spaces on her home computer. During Simona’s third year studying Interior Architecture at the University of New South Wales, she embarked on studying abroad at the Florence University of the Arts, exposing her to the world of architecture, appreciating its beauty and history. 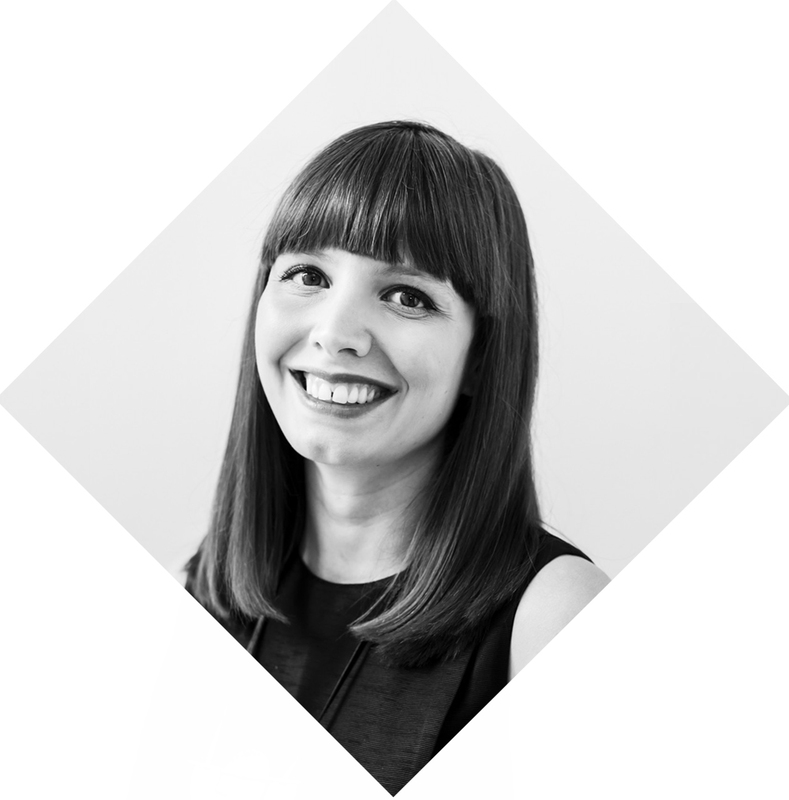 Simona went on to graduate with an Honours degree in Interior Architecture affording her immediate experience at a niche interior design studio working on high-end residential and commercial designs. Gaining valuable hands-on skills early on in her career cemented Simona’s love for design. Simona appreciates the finer things in life and finds beauty all around her. On her days off, she can be found walking one of the many coastal trails along Sydney’s stunning shoreline or catching up with friends. Sign up to receive design news and project updates.